Writing about David Crosby always feels fruitless. Everyone knows who he is; knows he’s the founder of both The Byrds and Crosby, Stills, & Nash knows he’s a two-time Rock and Roll Hall of Famer; knows he’s the progenitor of the ubiquitous folk-rock sound; and knows his distinctive and arresting voice. People even know about his past problems with drugs and alcohol and his run-ins with the law, know that Phil Collins paid for his 1994 liver transplant required after a long bout of hepatitis C, know he has diabetes and cardiac problems. He’s now 75 years old, but what casual observers who have come to take Crosby for granted may not know is that he’s in one of the most creative periods of his long career! LEGENDARY : The amazing David Crosby plays the season opening show at Vina Robles Amphitheatre on April 25. For years his solo albums came at a glacial pace. First there was 1971’s If I Could Only Remember My Name followed 18 years later by 1989’s Oh Yes I Can and then 1993’s Thousand Roads. It wasn’t until 2014 that he released another solo studio album, the critically acclaimed Croz, which has been called his best solo album he’s ever made. Last year he followed up with Lighthouse, and he’s already got another recording set to be released this year called, Sky Trails. This late career creative burst has been something to behold. 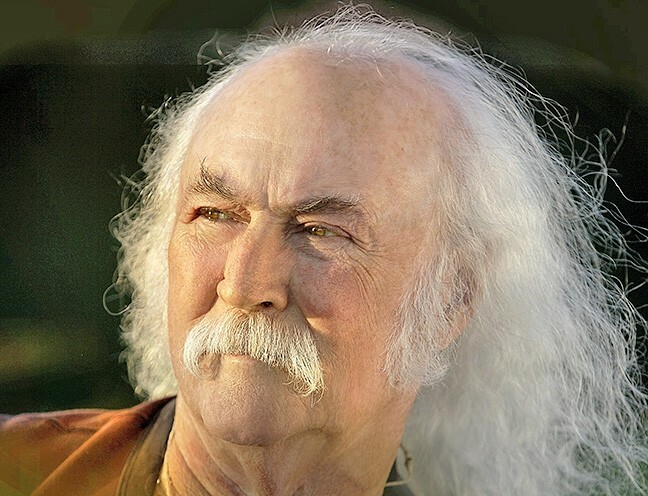 This Tuesday, April 25, at Vino Robles Amphitheatre, enjoy An Evening with David Crosby & Friends (7:30 p.m.; all ages; $50 to $65.50 at ticketmaster.com). He’ll be joined by James Raymond on keys, Mai Agan on bass, Steve DiStanislao on drums, Jeff Pevar on guitar, and Michelle Willis on keys and vocals. Expect music from Croz, the upcoming Sky Trails, and some of his greatest hits. Currently the weather forecast is dry, so this should be an amazing season opener at Vina Robles. 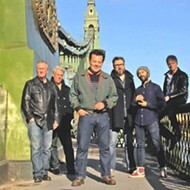 Visit the website at vinaroblesamphiteatre.com for a growing schedule of upcoming concerts. 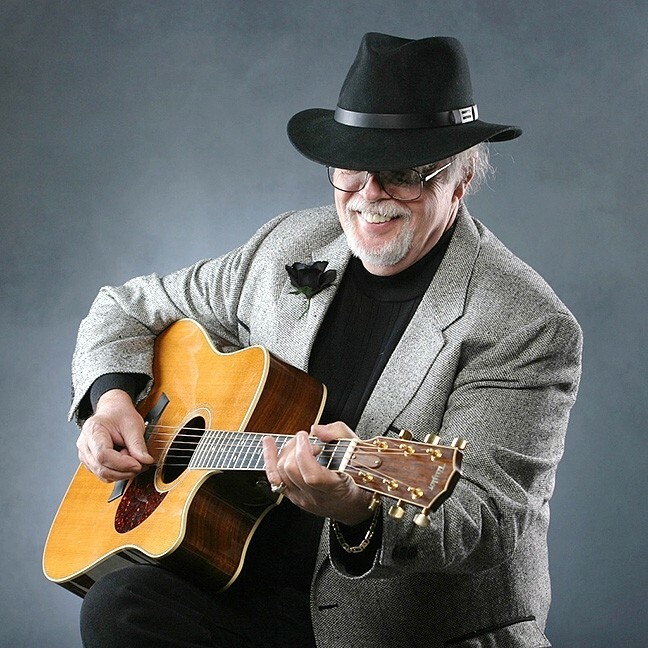 BLUEGRASS ICON: The great flatpicker Dan Crary plays Last Stage West BBQ on April 27. Next Thursday, April 27, Toro Creek Event Center and the Bluegrass Music Society of the Central Coast host Crary with Bill Evans and Wally Barnick at Last Stage West BBQ (6 p.m.; all ages; $20 presale at 792-0505 or $25 at the door; food and drink sold separately). 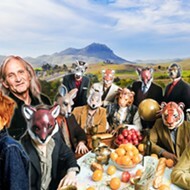 Considering what a great performer and storyteller Crary is, not to mention the excellence of his two musical partners in this show, it ought to be a hoot! BanjerDan will open the show and act as emcee. 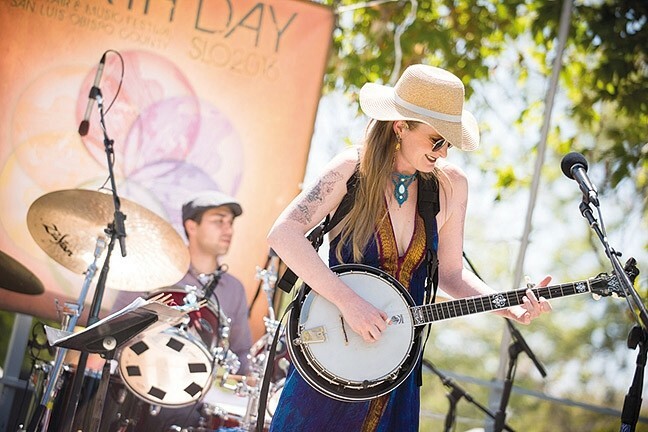 EARTH MAMA: Musician and activist Erin Inglish is one of several acts playing Earth Day, on April 22 at El Chorro Regional Park. It seems like every year Earth Day organizer and Information Press publisher Sandra Marshall laments the demise of the daylong festival, and yet every year—with the help of volunteers and a lot of hard work—Marshall manages to pull it off once again! Come to El Chorro Regional Park from 11 a.m. to 5 p.m. this Saturday, April 22, for the 27th annual San Luis Obispo County Earth Day (free; all ages). This year’s theme is to Reconnect: People, Planet, Peace, and there’ll be plenty of music, a green car show, a kids’ zone, an eco marketplace, a health center, a green building and energy hub, as well as food and drink, including beer and wine. The event follows SLO Town’s Earth Day March for Science. “Each participant group will share their cause, solution, or action to protect and preserve our environment, create a sustainable future and a balanced society,” Marshall said. Performers include The Noach Tangeras Band, Mama Tumba, The Erin Inglish Band, Arthur Watership, Jack Cimo, Desert Coast Dance Performing Arts, Dance Bunkai, The Cal Poly Comedy Club, and more. Learn more at earthdayalliance.com. In addition, Greenspace presents the Earth Day Concert for Science with Zen Mountain Poets, presented by the Cambria Land Trust in a benefit concert on Saturday, April 22, from 1 to 3 p.m., at the Creekside Reserve (2264 Center St. in Cambria). JAZZMAN: Former Still Time bassist Paul Smith-Stewart returns to SLO Town with his jazz quintet on April 22 at the Steynberg Gallery. Tickets are $10 at the gate. Children under 14 are admitted free. The concert follows Cambria’s Earth Day March for Science. Funk-infused jazz, world music, and Americana! Numbskull and Good Medicine Presents have a hat trick of hot shows lined up starting on Saturday, April 22, with the Paul Smith-Stewart Quintet at Steynberg Gallery (7 p.m.; all ages; $12 presale at ticketfly.com or $15 at the door). 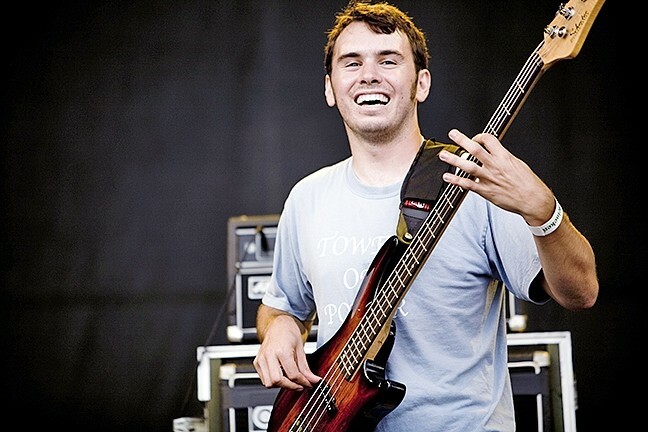 If that name sounds familiar, it’s because Smith-Stewart played bass with Still Time for years before moving to the Bay Area and turning his attention to jazz. He and his quintet are touring in support of Transitions, his new EP with music inspired by the likes of Medeski, Martin, Wood, and Snarky Puppy. After his stint with Still Time (2004 to 2012), Paul accepted the position of director of music at his alma mater Marin Catholic College Preparatory in Kentfield. See? 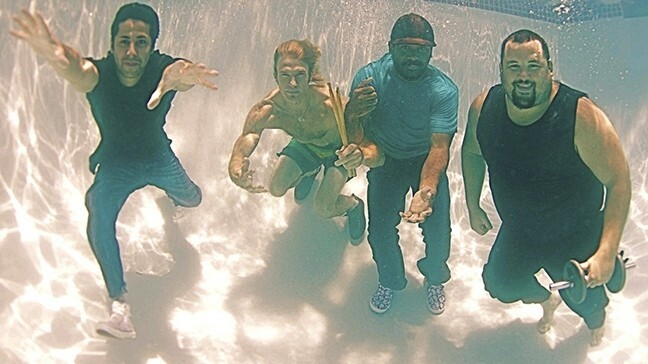 There is life after a rock band dies! Good Medicine also hosts another free “Live On The Rocks” show with jazz-rock hero Damon Castillo and reggae-world-Latin act Rey Fresco this Sunday, April 23, at The Cliffs Resort (1 to 5 p.m.; all ages). It’s supposed to be clear and in the 70s! BEACH SIDE FUN: Reggae and world music act Rey Fresco (pictured) plays a two-act Live on the Rocks show with Damon Castillo at The Cliffs Resort on April 23. 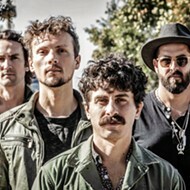 Finally, Americana act Micky & The Motorcars plays next Thursday, April 27, at BarrelHouse Brewing (6 p.m.; all ages; $15 presale at ticketfly.com or $18 at the door). After 11 years and with six albums, MMC has developed their own brand of rootsy American folk rock. SLO Brew kicks off its week with a DJ-driven Prince tribute by Soul Dust Productions featuring DJs Velache, Jungle Cat, and Jason Perez behind the turn tables on Friday, April 21 (10 p.m.; 21-and-older; $5 cover). “In addition to music by Prince, we’ll drop covers of Prince tunes, the legacy of The Star (The Time, Vanity 6, etc. ), and music in the spirit and vein of Prince, among others,” organizers said. 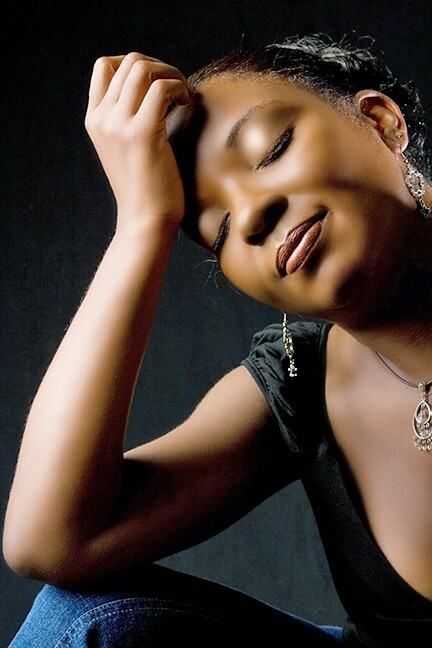 GOSPEL-TINGED: Soulful Missy Anderson (pictured) with her husband-accompanist Heine plays Linnaea’s Café on April 21. 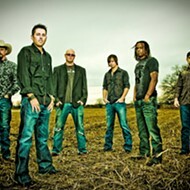 Pop-Americana act The Kenny Taylor Band plays Pint Night on Tuesday, April 25 (10 p.m.; 21-and-older; free). The Minnesota native now calls Paso Robles home, where he writes songs inspired by John Lennon, Dave Matthews, and Ben Gibbard. San Diego’s Missy Andersen brings her Soul Americana Tour to Linnaea’s Café this Friday, April 21 (7 p.m.; all ages; pass-the-hat). A two-time Blue Music Award nominee, Missy Andersen is joined by guitarist-husband Heine Andersen for a dynamic duo performance featuring Missy’s earthy, gospel-tinged vocals and Heine’s inspired blues guitar work. 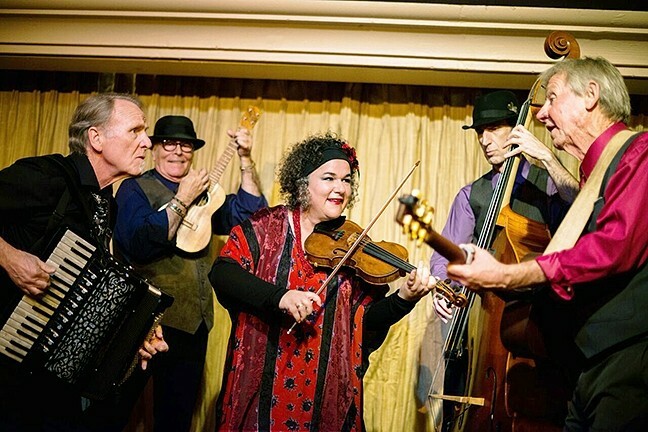 GYPSY SWINGERS: Café Musique brings their wild classical, swing, folk, and more sounds to D’Anbino’s on April 21. The always amazing and eclectic Café Musique returns to D’Anbino Vineyards and Cellars this Friday, April 21 (8 p.m.; 21-and-older; $15 general admission; call 227-6800 for reservations). The ensemble spent the winter bringing their gypsy swing sounds to Santa Cruz’s venerable Kuumbwa Jazz Club to the palatial Gallo Center for the Arts in Modesto, but now they’re back to their old stomping grounds and ready to play for their local fans. 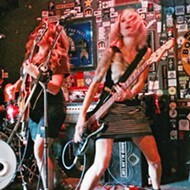 The rockin’ Kristen Black Band plays The Pour House this Friday, April 21, from 8:30 to 11:30 p.m. The singer-songwriter pens great tunes in the vein of Tom Petty, and she says she’ll be unveiling some new songs that she plans to record soon. “The Pour House built a brand new stage with lighting and a nice dance floor—super rad!” Black gushed of the venue. Go get your dance on! Pianist Scott Kirby plays a Los Osos house concert on Saturday, April 22 (7 to 9 p.m.; all ages; $20 donation; call 528-6557 or 534-1501 for reservations and directions; or email sstern3126@aol.com). Expect ragtime, early jazz, Cuban creole, South American tango, blues, and Broadway tunes. ROCK GODDESS: Kristen Black brings her band to The Pour House on April 21, debuting some new songs from a forthcoming release. The SLO County Jazz Federation presents its 34th annual Jazz Piano Showcase this Saturday, April 22 (7:30 p.m.; all ages; $20 general admission, $15 for Jazz Fed members, or $10 for students available at Boo Boo Records or brownpapertickets.com), at the Unity Concert Hall. Six pianists—Mark Bocchicchio, Bob Harway, Marshall Otwell, Mark Pietri, Madison Scott, and Eric Schechter—will perform, with rhythm provided by Dylan Johnson (bass) and Darrell Voss (drums) provide rhythm support. See free live jazz on Sundays on the Monterey Street Terrance from 11 a.m. to 1 p.m., including the Adam Levine Trio playing straight ahead and Latin jazz this Sunday, April 23. These weekly teaser concerts are a run-up to the forthcoming SLO Jazz Festival on Saturday, May 20, in the SLO Mission Plaza. BE-BOPPER: The Famous Jazz Artist Series returns to Painted Sky with sax player Mel Martin, on April 23. The Famous Jazz Artist Series returns to Painted Sky this Sunday, April 23, with saxophonist Mel Martin (6:30 p.m.; all ages; $20 tickets; reservations at 927-0179 or charlie@talsanmusic.com). 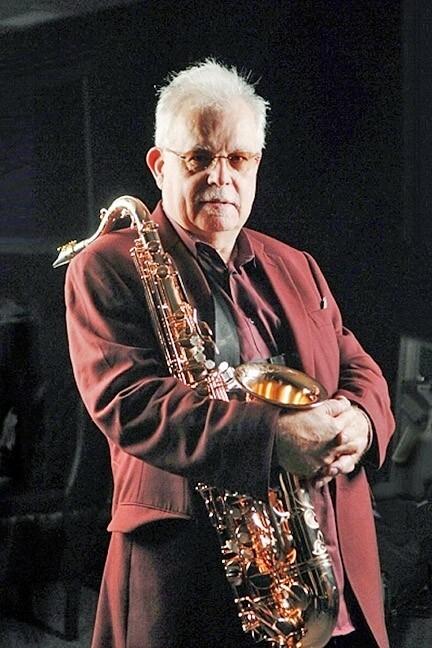 Martin, one of the leading West Coast jazz saxophonists, has worked with Benny Carter, Dizzy Gillespie, McCoy Tyner, Freddie Hubbard, and many others. The bebop proponent has been an integral part of the Bay Area jazz scene for decades.